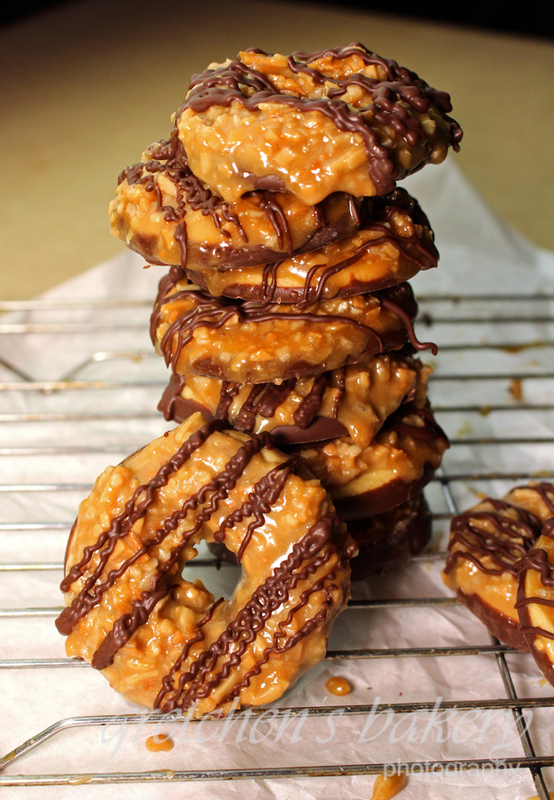 Since the Girl Scouts of America did not add Samoas (aka Caramel DeLites) to their vegan list this year, I decided to take matters into my own hands. Yes it is true, your favorite Girl Scout Cookie just got veganized! This cookie is absolutely perfect! 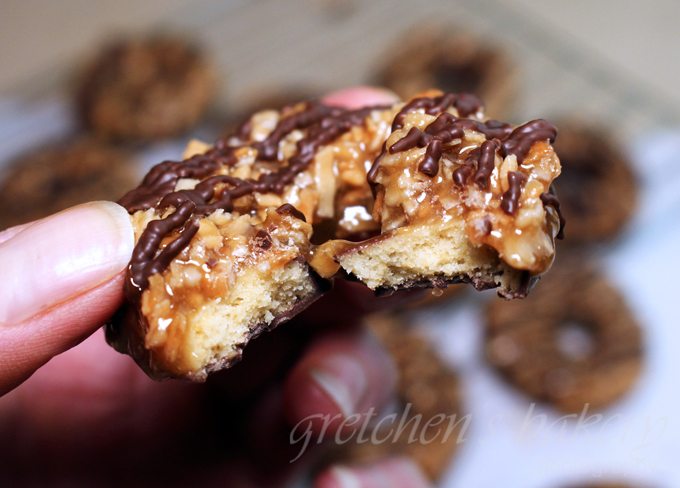 Crisp shortbread cookie topped with gooey and delicious caramel coconut and just the right amount of chocolate to tie it all together! 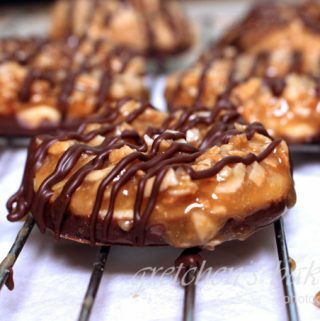 Introducing The Vegan Samoas Recipe! But let me clarify, while it is very easy in the preparation of the recipes (there’s only 2 you have to make) it’s just the time it takes to get it all done. This is not a 1-2-3 recipe that’s for sure. You will have to prepare a caramel recipe in advance and then the topping of the caramel coconut mixture onto the cookies was a bit nerve racking I will admit. But let me tell you if was all worth it when I bit into that crispy buttery shortbread with that gooey caramel coconut and lacy chocolate stripes. So the sweet taste of victory is worth every step and I will take you through it in the video tutorial below! Once it is cool and thick combine with the toasted coconut and mix well, then set aside. Combine the flour, baking soda, salt and confectioners sugar in a large mixing bowl. Cut the dough with a 2" cookie cutter and place them spaced ½" apart on a parchment lined (or non stick) sheet pan. Cut out the center holes with a ¾" cookie cutter, then re roll the dough and repeat until all dough is gone. Bake in a preheated 350°F oven for 15 minutes or golden browned and then transfer them to a cooling rack while. These cookies (once set) will stay fresh at room temperature for up to 1 week in an airtight container. 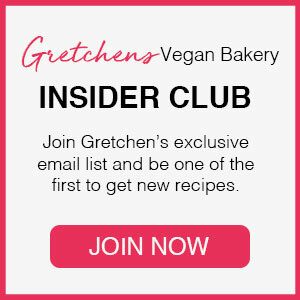 Gretchen now you r posting a lot of recipes that are vegan. How can I make these recipes non vegan. For example the girl scout cookies. 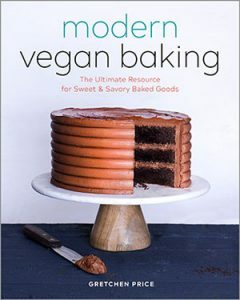 The only time I do vegan if one of my friends wants me to make a cake vegan.